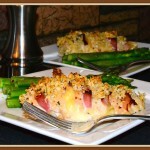 Chicken Cordon Boyd - What the "Forks" for Dinner? It’s ‘Date Night Dinner’ time again. I wanted to make something nice, but easy. I think I have achieved my goal. Chicken! Chicken is what you fix for dinner when you don’t know what to fix for dinner. Everybody likes chicken! Making something special doesn’t always have to take a lot of time. This dish was easy to prepare and easy to cook. You can make it ahead of time and pop it in the oven whenever you and your date are ready for dinner. 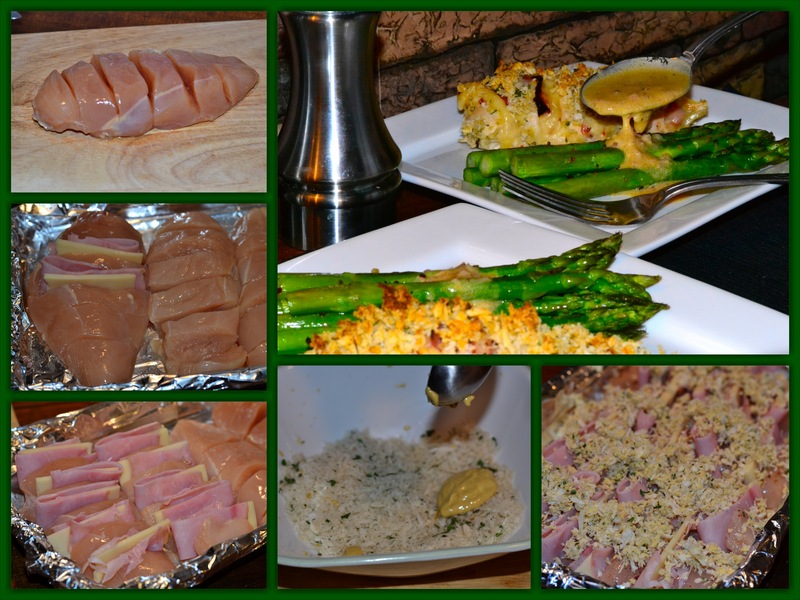 Just add something green………..it’s the beginning of asparagus season, so what a perfect match for my Chicken Cordon Boyd. The really nice thing about writing your own recipes, and having a food blog, is you can name stuff after yourself using a little rhyme, or play on words. Chicken Cordon Bleu is now Chicken Cordon Boyd. A very different recipe than what is in my Betty Crocker Cookbook, from the mid 70’s, but every bit as good. 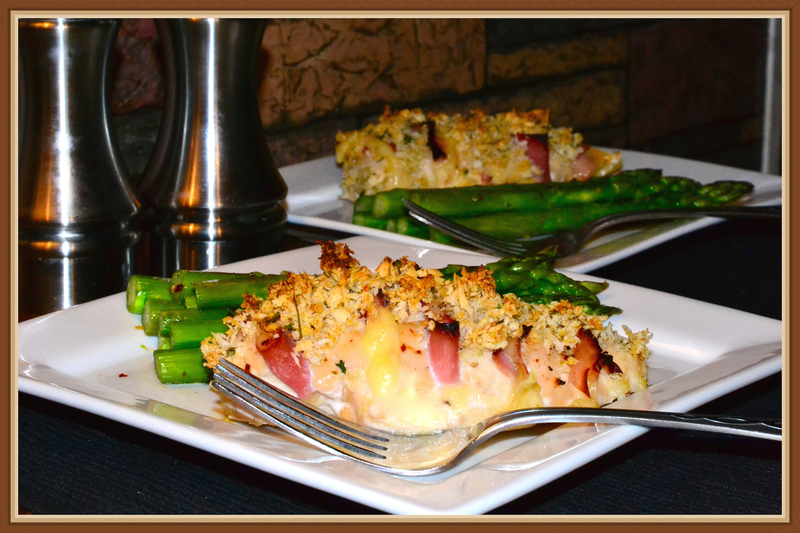 So for your next Date Night try our Chicken Cordon Boyd. with aluminum foil sprayed with cooking spray. Mix dijon mustard, parsley and panko breadcrumbs until mixed. Sprinkle evenly over prepared chicken. Bake in preheated oven for 30 minutes, or until chicken is cooked through.